A couple of months back I purchased some craft supplies from Consumer Crafts. 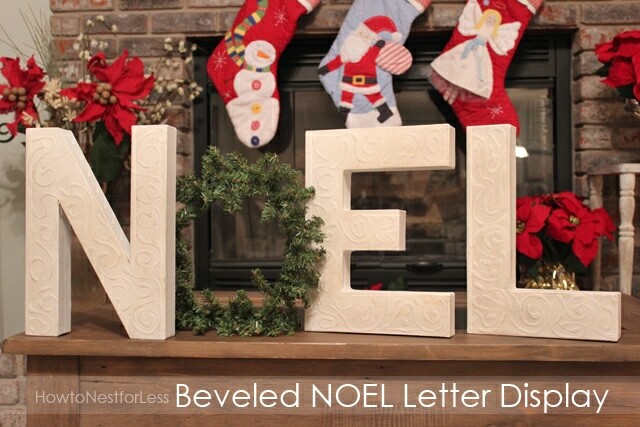 Trying to think ahead for the holidays I grabbed some paper mache letters and a small wreath garland to make a NOEL display, but of course time slipped away from me and I’m just now getting to this project! 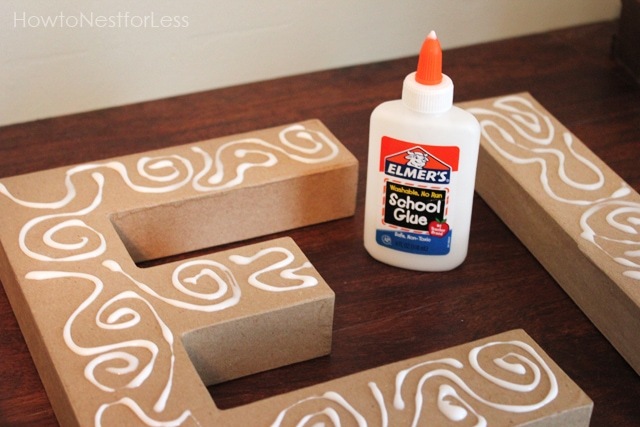 I first started by creating a beveled design on my paper mache letters with the Elmer’s glue. I kinda just went with it, not really mapping out a design ahead of time. 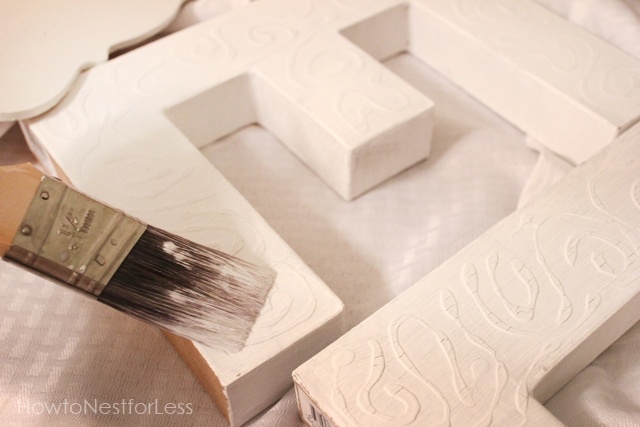 I let the glue dry and then coated the letters with the white paint mixed with a little bit of water so it went on smoothly. 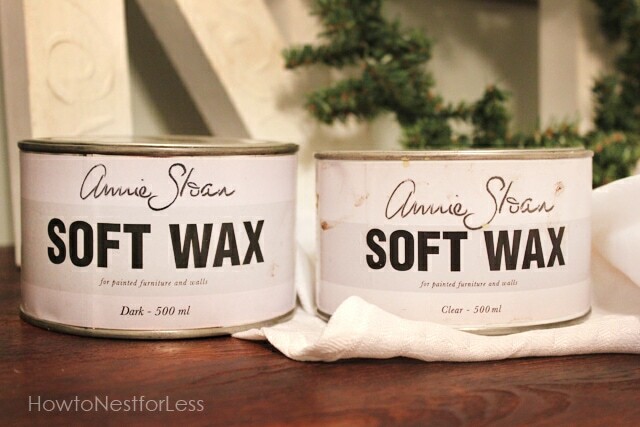 Next I mixed some dark and clear wax and applied it to the painted letters. 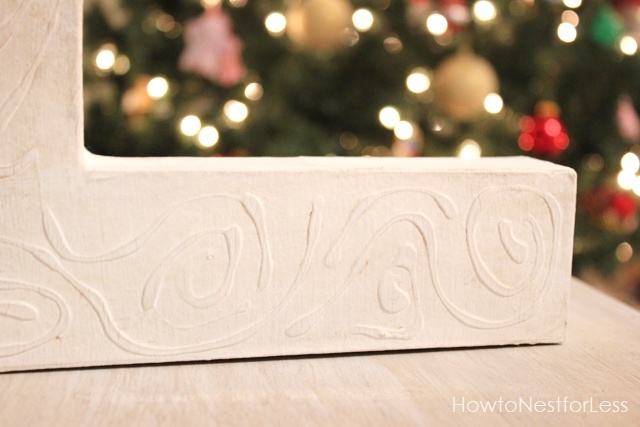 The dark wax really made the beveled designs pop out from the white paint. And that’s it! 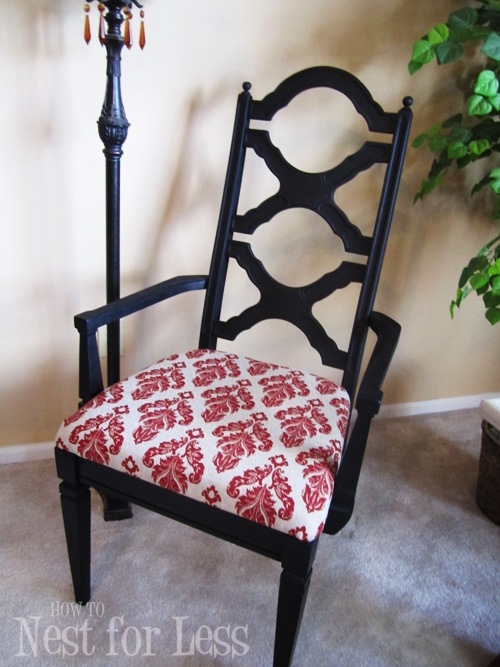 Pretty simple project that really didn’t take me too long to create at all. 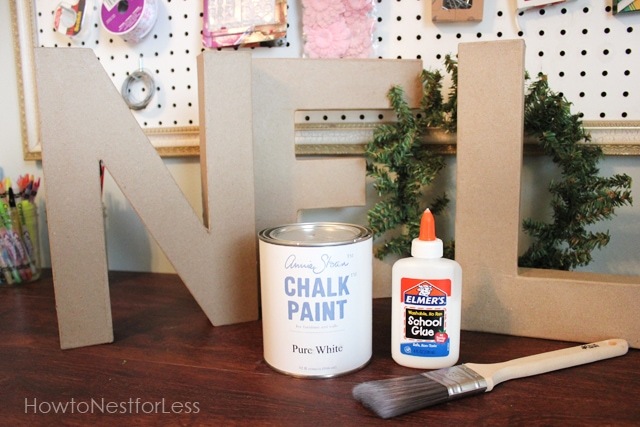 And the entire project with new supplies cost me less than $10. Gotta love that! Oh so pretty! I really love that! Thanks for sharing! 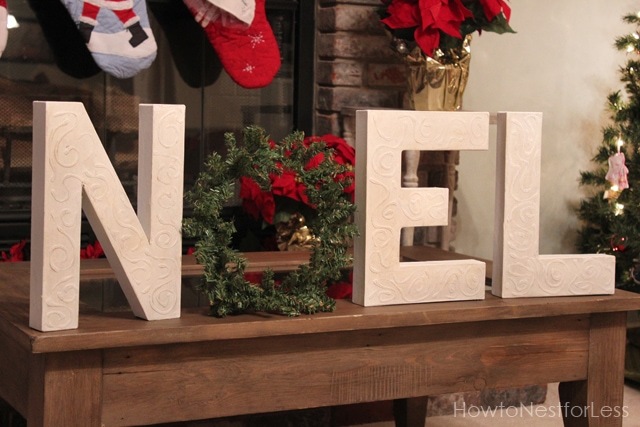 I did something similar but made my letters out of pieces of cardboard i cut out with an exacto and wrapped with jute – the dollar store also has some decent little wreaths like that! Super cute Erin! 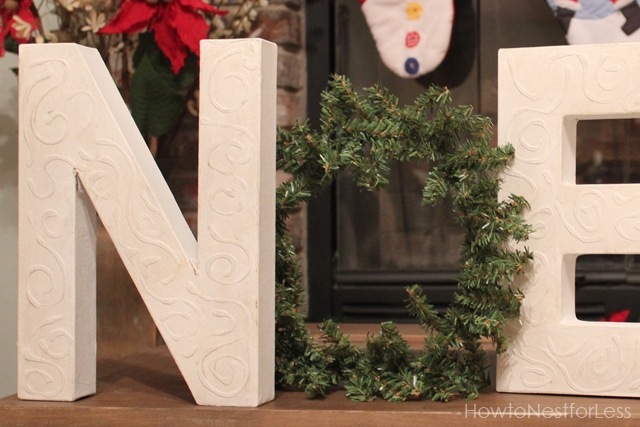 I love how they no longer look like paper mache letters at all! They look awesome! I normally put down clear or light first, then embellish with the dark. Much easier to work with that way!